A newspaper has accused UK ISP BT of “forcing” their “full fibre” (FTTP) ultrafast broadband customers to pay for “unnecessary … landlines they don’t need,” while the provider itself says it only does this because they’re not seeing the “demand” for fibre without home phone lines. But you don’t have to buy FTTP from BT. One oddity of the Telegraph‘s latest article is that a little over a year ago they were criticising BT for doing the exact opposite. How times change. Back in September 2017 the paper complained that customers of the provider’s Fibre-to-the-Premises packages were being left frustrated after finding that they couldn’t carry over their fixed line phone number to the service or when migrating between other FTTP ISPs (here). The latter story largely focused on the issue of “new build” home developments, where Openreach may sometimes only deploy fibre optic cables as there really isn’t much need to add copper too. Crucially optical fibres use laser light to communicate and thus cannot carry the electrical signals that older style copper or aluminium phone lines need to function. However, as part of the Government’s aim to achieve nationwide FTTP coverage by 2033, old metallic lines are now on the long road to retirement. So in the future if you want a voice service then it’s likely to be VoIP based (optional) rather than from an analogue phone. Similarly many people today only keep a copper phone line because they still need it for broadband and rarely make calls, but with FTTP the phone line is no longer strictly necessary. This brings us back to the newspaper’s gripe, which is really just picking up on a feature of Openreach’s wholesale products that has been available to all ISPs for years (old news). Generally ISPs can choose whether they sell a data-only variant of FTTP (no phone) or a transition product, with the latter bundling the fibre with an old fashioned copper line so that consumers can still keep their old phone service. As with the Telegraph’s original 2017 article, some consumers do get angry when they move to an FTTP package and lose their old phone line service in the process. So for now BT are often still taking the “transition” approach (where possible). “The vast majority of our customers have landlines and make calls as well as using the internet in their homes every day. When customers sign up for broadband, the price of the service includes the line rental to make the price as clear as possible. In focusing on BT the newspaper may also be overlooking the fact that consumers exist in a competitive market and there are other choices available. Some Openreach based FTTP ISPs do only sell the transition product, but it’s still perfectly possible to order such a service without including copper line rental (check out iDNET, Freeola, AAISP etc.). So you don’t have to go with BT if you don’t want to, but equally don’t be too surprised if taking a data-only package doesn’t end up saving you that much money (if any) over one that still comes bundled with a copper phone line. Sometimes the pricing for such things can be a little odd. I think a bit more education needed here. We have just ported our BT number to VoipPhone, it will complete in 2 weeks, have a dual port ATA so can add multiple phones or a second VoiP number, etc and there are recommended softclient’s, so can use the phone from anywhere in the world (China will mean a VPN). VPN, unless you set up one at home for the phones to use, wont work in China 90% of the time. China blocks all popular VPN servers, although sometimes an obscure one slips through for an hour/day or two before getting blocked again. Google could quite easily set up the same type of system to allow its services to get through, but they are too greedy, and want PRC government money, not loyal customers. China block VPNs at the protocol level, not just endpoints. There are, of course, solutions. Google have largely abandoned China. There is absolutely no value in them offering ways to evade the Great Firewall or indeed any interference to the Golden Shield Project, though they don’t seem to be participating either. Not really, they still smell money which is why they have project “Dragonfly”. The BT web site is currently confusing in FTTP Post Code areas. I suspect changes are occurring as “Line rental included” is suppressed on some products and not others. I appreciate its complex as BT has FTTP on demand and rollout-conversion where FTTC and FTTP will be present as well as new build. Added to that will be the withdrawal of PSTN and introduction of Digital Voice the customer will be confused whether their phone is over a copper line, ONT socket, hub socket or separate VoIP in addition to all the broadband options. Currently it appears BT is not differentiating between the underlying technologies and does not sell a domestic broadband product without a phone “line” included. In a new build you should not be confused as that is all sorted as part of your handover pack for your house . I meant by “FTTP on demand” that FTTP is available to the kerb but not yet cabled to the house as opposed to house actually converted and the copper being removed. On any rollout some premises may retain their existing services and may change to FTTP later, I didn’t think it was currently a mandatory move to FVA. As someone who changed ISPs from BT, we have no regrets dropping line rental. Everyone in the house has a mobile and the wider family is now well versed in reaching each other via WhatsApp and others. We save at least £40 per month as a result which comes from the rental itself and no longer making pay per second phone calls. Our mobiles have WiFi calling too which works great. 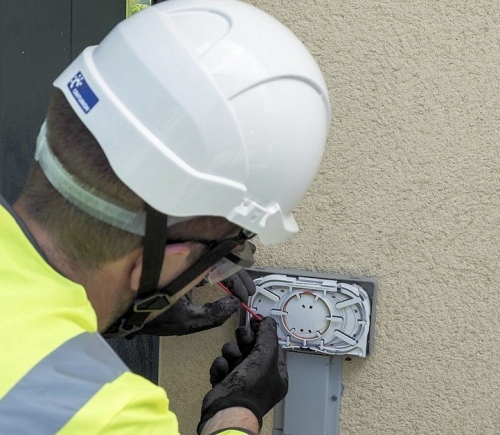 When Openreach installed FTTP they declined to disconnect the copper when asked despite owning the property. I asked BT about losing line rental but was told that was not an option. Easy money, no unbundling without regulatory encouragement. BT don’t sell, have never sold, and probably never will sell FTTPoD. That has absolutely nothing to do with BT’s prices looking odd in some areas. The difference in prices may be that some areas can only get FTTP and other areas have access to both FTTP & FTTC. OpenReach charge different prices for FTTP in areas where FTTC is available you what it charges in areas where FTTC isn’t available. We just had FTTP installed with Zen. Phone is provided over the old copper lines, but costs literally £1.99 a month for the line rental. Compared to the old line rental cost that’s an absolute bargain.